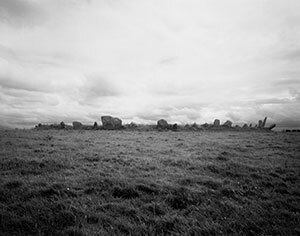 Drag within the image to explore the Beltany Stone Circle in virtual reality. 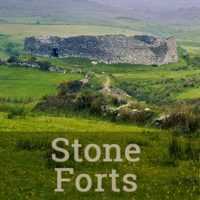 Click the red hotspots to see all three viewpoints. Touch here for the HMD version. 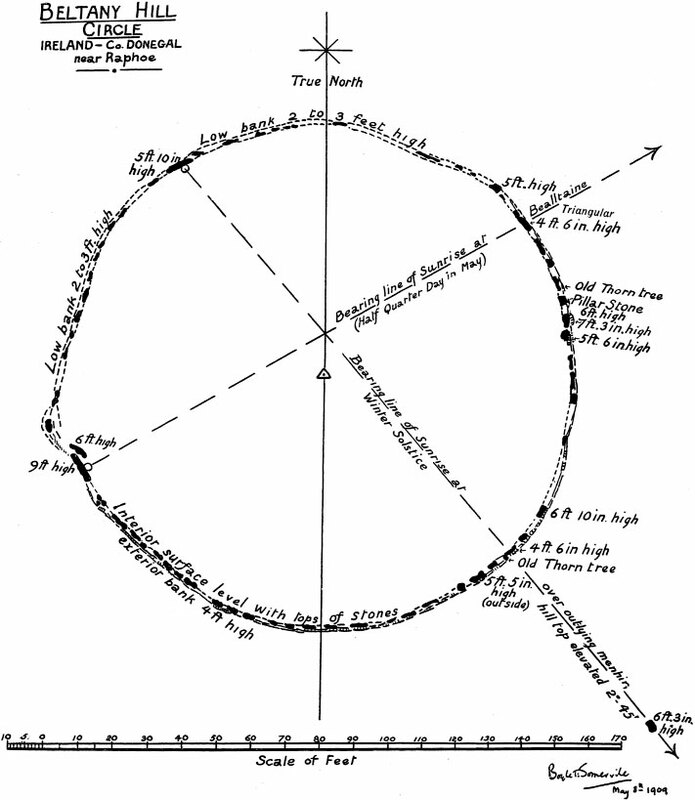 Boyle Somerville’s suggested alignments for Beltany (1909). 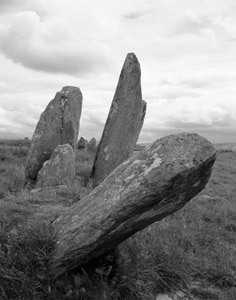 The 64 stones at Beltany range in size from a diminutive 30cm (12in) to more than 2.75m (9ft). 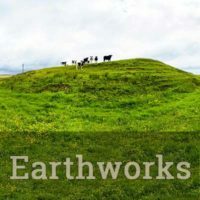 A raised platform inside the circle, in height from 70cm to 1m) (2-3ft), presents a chaotic topography, filled with humps and holes that are most likely the results of unscientific attempts at excavation or pillage. 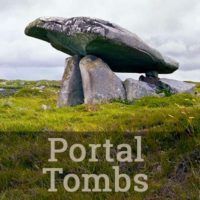 If the center of the stone circle once held a cairn or passage tomb, then the stones of the circle may be considered remnants of the tomb’s kerb, some leaning dramatically outward from the pressure of the raised interior or from the haphazard 19th-century excavations. 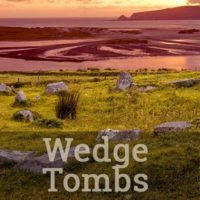 Perhaps the most significant stone is the 1.4m- (4.5ft-) tall triangular slab (photo, above left) to the ENE that contains megalithic art in the form of at least 43 cupmarks facing the inside of the circle. 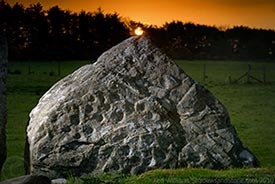 This stone has an alignment with the tallest pillar, in the WSW of the circle, and with the Bealtaine sun as it rises over the hill of Tullyrap, some 8km (5mi) away, marking the beginning of the season of warmth. 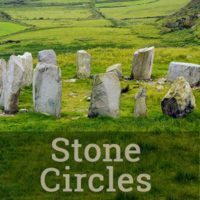 There are three or four other cupmarked stones in the circle. 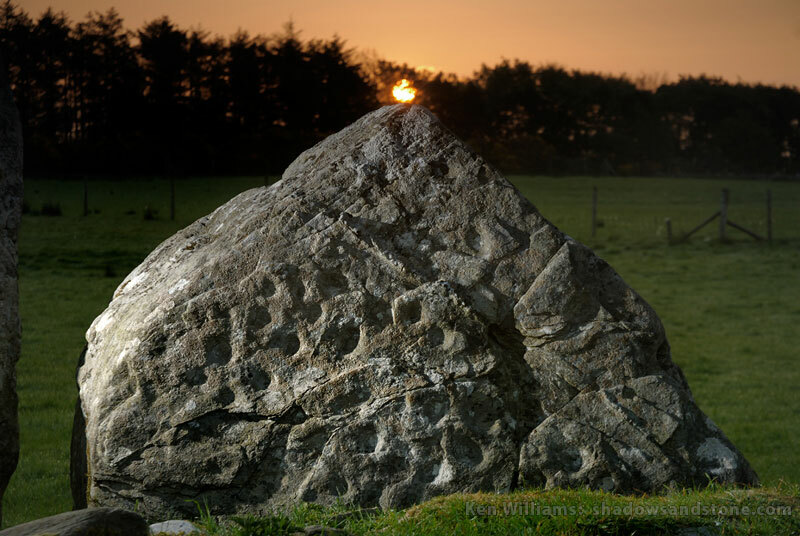 There is an outlier stone, some 21m (69ft) to the southeast, which is nearly 2m (6ft) tall. 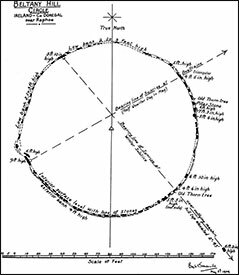 This stone may have an alignment with the winter solstice (see diagram, above right).9 In some respects, the Beltany circle has a resemblance to the Ballynoe Stone Circle in Co. Down, where there also seems to be a raised mound inside the ring of stones. 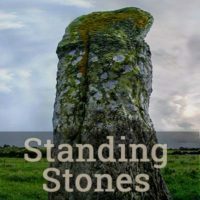 It is tantalizing to imagine that the spiritual beliefs that motivated the construction of the Beltany Stone Circle are in some way connected to the Bealtaine activities of the early “Celtic” population. 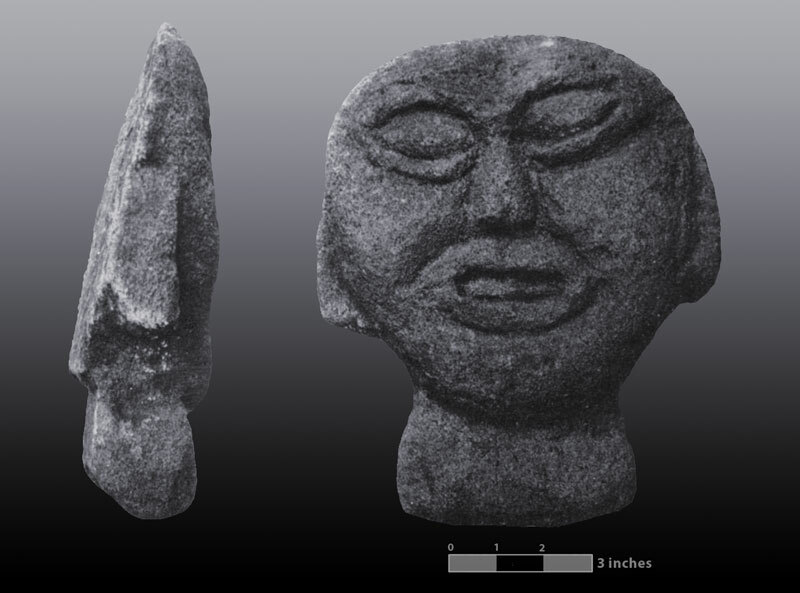 With the discovery near the circle of a small half-round stone sculpted head, perhaps dated to the early Iron Age, (see photo at right), some found additional evidence of the enduring use of the site for ritual practices. 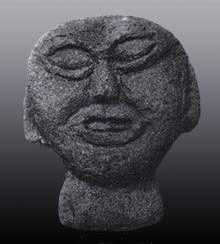 The Beltany Stone Circle became the focus of a modern community ritual of a sort in 2005 when the Raphoe Community in Action group organized a conference called “Rediscovering an Ancient Landscape.” Noted archaeologists and historians joined some 300 locals, accompanied by a replica of the Beltany Stone Head. 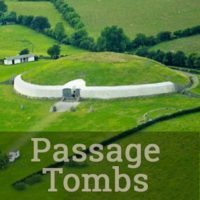 Research prompted by this conference provided evidence dating the stone circle to around 3,000 BCE, adding some weight to the theory that it represents the ruins of a burial mound or passage tomb. 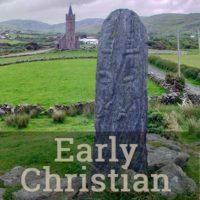 But perhaps of greater significance to the local community, the conference served to reinforce their local identity by a few days of intense immersion in the ancient past.